Fortney & Weygandt takes an active approach to technology-based systems, allowing us to service our clients’ needs in the best and quickest way possible. We employ a full-time Information Technology (IT) Department with programming capabilities to administer and manage our construction services. These programs include systems for estimating, scheduling, staffing, payroll, cost control analysis, invoicing, work status, punchlist coordination, and quality assurance. The Estimating function is augmented by the use of a state-of-the-art software, Pipeline Suite, that helps to ultimately lower the costs to the owner. Via this service, we place project plans and specifications on the Internet under a password-protected system allowing subcontractors and vendors to view, download, and order prints automatically. We also utilize a cloud-based construction management system, Procore, that provides us with a seamless process for managing, sharing and identifying conflicts on project drawings; managing change orders and subcontracts as well as managing schedules and daily logs. This system allows us to collaborate among the project architects, owner and our field staff with project plans, specs and photos. 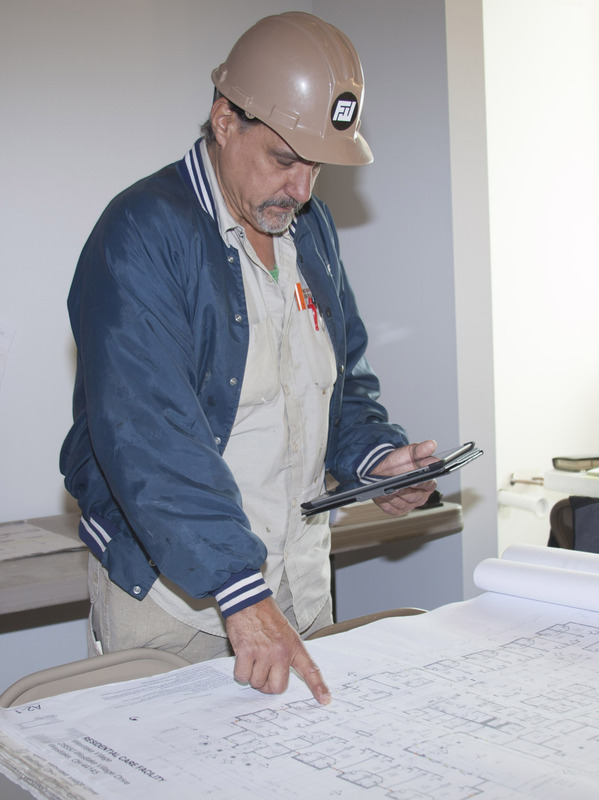 Field construction staff can access blueprints in PDF format on their iPads and any plan modifications can be noted directly on the plan for all to share. Our system allows owners the opportunity to get up-to-the-minute status updates on their project. We are able to set up a single hub where the owner, architects engineers and specialty contractors can stay fully op- to-date on project progress, changes and information flow. The use of cutting-edge technology allows Fortney & Weygandt to better service the owner’s needs. It is our desire to take the burden of the construction element from the owner’s shoulders and place it within our domain, allowing the owner to be more effective.